Can yoga and meditation help stave off age-related declines in memory, concentration, and information processing and improve the ability to regulate thoughts and emotions? Groundbreaking new research exploring the interface of yoga, meditation, and brain science suggests that this may indeed be possible. For nearly a century, scientists believed that the trillions of brain cells that you’re born with are pruned and eventually die, resulting in a slow and inevitable decline. 21st century brain research has debunked this myth by demonstrating the brain’s phenomenal ability to change itself. New studies even suggest yoga and meditation may help to keep your brain healthy and your mind sharp. The brain loses millions of cells a day. Once lost, these cells cannot be regenerated or replaced. The brain is hardwired and incapable of change. Brain aging is inevitable and irreversible. Damaged brains are incapable of healing. The landmark book, The Brain That Changes Itself, revolutionized the way that we think about how the brain works and its capacity for change. It is replete with scientific and real life stories of how the brain can rewire itself in the case of severe injury or illness, and can improve itself at any age. More and more studies provide evidence that this is indeed true – the brain does not progressively deteriorate – it has the capacity for tremendous transformation. Certain regions of the brain are capable of a process called neurogenesis, or the generation of new brain cells. Neurogenesis occurs most readily during prenatal development. However, a groundbreaking study published in 1998 in the journal, Nature Medicine, provided compelling evidence of the ability of certain brain structures to regenerate new brain cells. As Sharon Begley remarked in her book, Train Your Mind, Change Your Brain, the discovery of the brain’s ability to generate new neurons (brain cells) “overturned generations of conventional wisdom in neuroscience. The human brain is not limited to the neurons it is born with, or even the neurons that fill in after the explosion of brain development in early childhood." This is great news. We now know that our brains contain neural stem cells that are consistently replenished and can differentiate into neurons at any moment. In other words, our brains are capable of growth and change throughout our lifespan. Just as the brain is capable of sprouting new neurons, it is also able to create new connections between these cells, or synaptogenesis. Like neurogenesis, synaptogenesis occurs most readily during the early years of life. Ongoing research shows that connections between brain cells continue to be formed at any age when we learn new skills. These links become increasingly strong, powerful and efficient with practice and repetition. This helps to explain why performing certain yoga poses, learning a new language or skill, or playing a musical instrument becomes easier with repeated practice. The brain creates stronger and more enduring connections or networks of brain cells that are responsible for performing the functions necessary to help you to learn something new. There is some truth to the adage, “use it or lose it.” It isn’t realistic to expect a brain, or any other living structure, to thrive on a diet of poor food, inactivity, and no stimulation. The good news is, brains are malleable at all ages, and it is never too late to find new sources of stimulation to begin the synaptogenesis process. The number one way to prevent your brain from engaging in synaptogenesis is to engage in the same habits and behaviors day after day. Just as repetition of new behaviors creates new neural pathways (synaptogenesis), repetition of old patterns serve to reinforce what is already there, literally strengthening the hardwiring. New brain cells and pathways are created by stimulation. Your brain makes new connections to meet the challenge each time you try something new, play word puzzles, or take on a novel problem or hobby. Synaptogenesis is one form of what is referred to as neuroplasticity – the brain’s ability to develop new connections. So, the simplest way to keep your brain healthy and thriving is to challenge it with new and interesting problems as frequently as possible. It is also important to give your brain proper nutrition and ample blood supply through regular exercise. This concept of neuroplasticity applies as much to aging brains as it does to those that have been damaged due to injury or illness. A brain will rewire itself when stimulated. Research has shown that human and animal brains can literally reinvent themselves and reassign brain cells to new functions if one area of the brain has been damaged or destroyed. What is remarkable is that your brain can form new connections not only by learning or doing something new, but also by imagining that you are doing it. This explains why musicians, professional athletes and others mentally rehearse activities that they are about to perform. By vividly imagining a scenario you can literally train your brain to do the task. The process is nothing short of amazing. Scientific research confirms the link between yoga and healthy brain function. In their book, Your Brain on Yoga, Sat Bir Khalsa and Jodie Gould review the encouraging evidence that yoga and meditation strongly influences brain transformation. 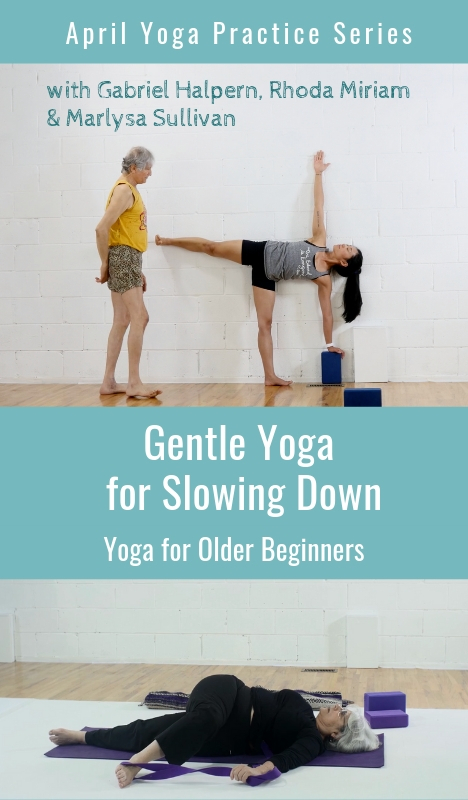 Their work suggests that these practices can help to stave off age-related decline by improving memory, attention, concentration, motor speed, information processing and the ability to regulate thoughts and emotions. One such study has revealed that long-term meditators show increases in the thickness of their cerebral cortex, a structure that plays a pivotal role in thought, language, memory and awareness. This can also apply to people new to meditation. Recent studies show that structural changes in the brain can occur in as little as eight weeks following participation in a Mindfulness-Based Stress Reduction (MBSR) program. Once again, the brain has shown tremendous capacity for neurogenesis and synaptogenesis with the repetition and practice of a new skill. Other studies indicate that yoga practices can be very effective in reducing the effects of stress on our brains. It is well understood that stress is among the primary factors related to brain cell death and cognitive decline. In a recent study, 40 undergraduate students were given five days of meditation training, and they practiced meditation for 20 minutes per day. Compared to a control group who received only relaxation training, the meditation students demonstrated increased mood and ability to control stress, and lower anxiety, depression, anger, and fatigue. This is great news for those living and working under high stress conditions. One can begin to reverse the negative effects of stress in as little as 20 minutes of meditation a day. There are number of things that you can do right away to create better brain health. Feed your brain well. A nutrient deprived brain lacks the energy to efficiently process new information. Eat a diet rich in protein, fiber, anti-oxidants, beta-carotene, omega-3 fatty acids, and vitamins C and E. Most of these can be found in lean meats and fish, whole grain breads, and fruits and vegetables. Give your brain a workout. Try out brain teasing puzzles, learning a new language or taking up a new hobby. The more stimulation the better. Curb your stress. Participate in activities such as meditation, yoga, or Tai Chi that focus on breath awareness and/or emphasize mindful attentiveness. Get your R&R. Provide yourself with ample time to sleep, rest and regenerate. It is considerably easier for a well-rested brain to reinvent itself than one that is exhausted, overtaxed and stressed. However you choose to train your brain remember that it is never too late to start, and there are a myriad of ways in which you can create health and wellbeing for your mind, body and spirit. Eriksson, P.S., Perfilleva, E., Bjork-Eriksson, T., Alborn, A., Nordborg, C., et al. (1998). Neurogenesis in the adult human hippocampus. Nature Medicine, 4, 1313-1317. Chopra, D. & Tanzi, R.E. (2013). Super Brain: Unleashing the Explosive Power of Your Mind to Maximize Health, Happiness, and Spiritual Wellbeing. Harmony Books, N.Y.
Doidge, N. (2007). The Brain That Changes Itself. Penguin Books, NY. Khalsa, S.B. & Gould, J. (2012). Your Brain on Yoga (Harvard Medical School Guides). Rosetta Books, USA.